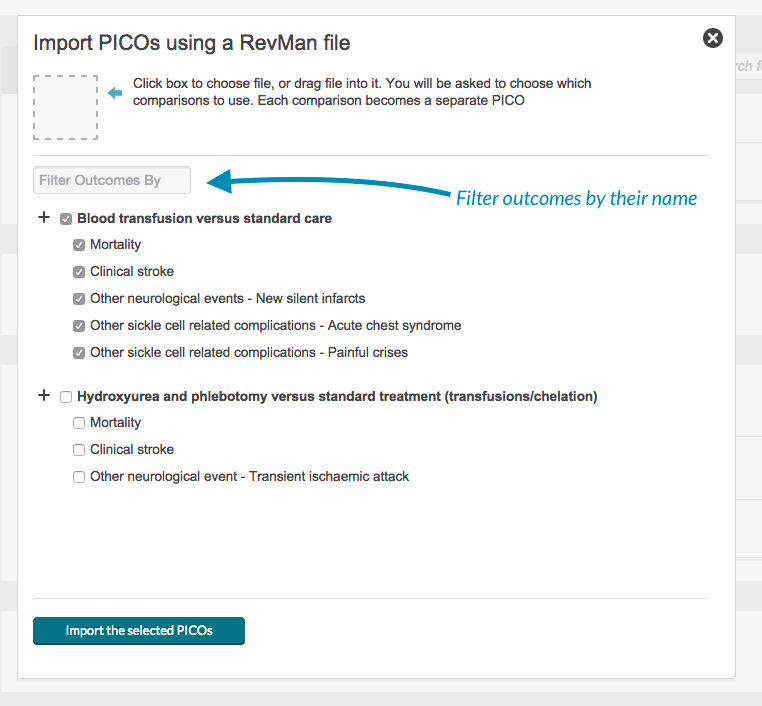 You can use any RevMan file to make a PICO question with an Evidence profile. 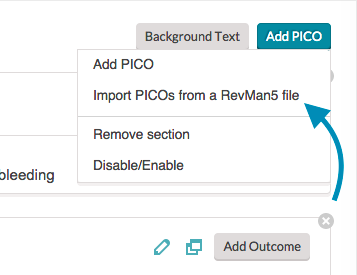 Just click 'Add PICO' and choose 'Import PICOs from a RevMan5 file'. You'll then get a dialogue window where you can choose wich comparisons and which outcomes to use. You can filter your choices by free text words- this is especially useful when you have subgroups, or a lot of comparisons in the same file. We then pull all the information we can from the RevMan file and place it in the outcomes you have chosen, as well as upload the RevMan file as a whole and place it in your reference list. The next time you want to use an outcome from that file, you can simply add it to the outcome in question instead of uploading it again. 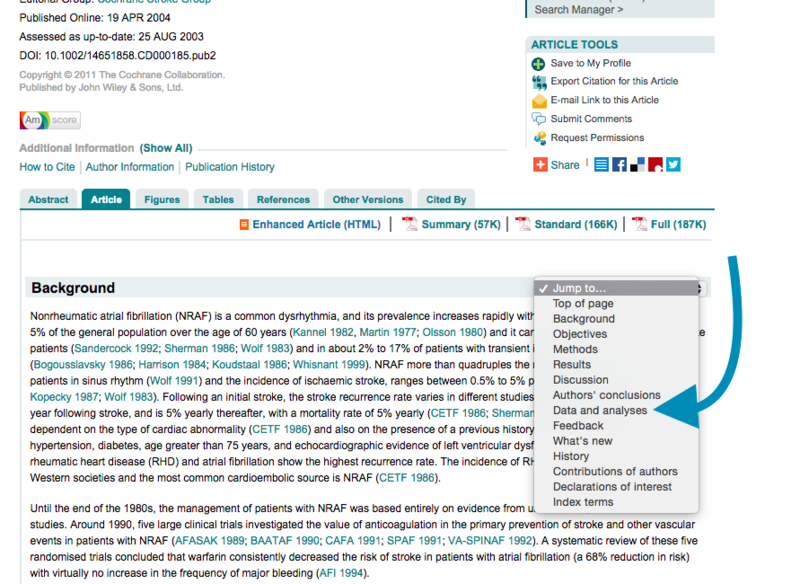 See How do I attach study data to my outcome? 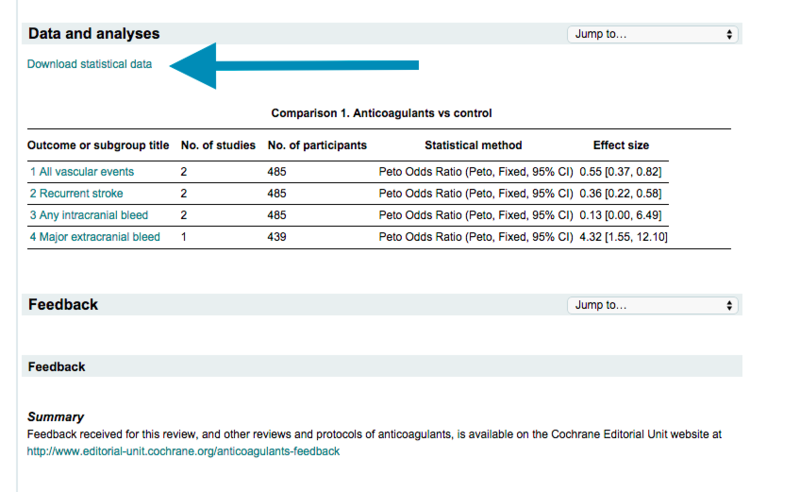 For Cochrane reviews that are published, you find the datafile under 'Data and analyses'. You are yourself responsible to make sure you comply with the Cochrane Terms and conditions to use Cochrane data. Click the 'Download statistical data' and you'll get the belonging RevMan file.